A 70-year-old Hong Kong woman has contracted the rat-specific version of Hepatitis E, signifying only the second time the disease has been documented in humans. Health officials in China are now scrambling to understand the implications of this disturbing new development. The patient, a retiree from Hong Kong’s Wong Tai Sin district, was admitted to Kwong Wah Hospital on May 1, 2017, and has since recovered, reports the South China Morning Post. The woman is now the second human known to have contracted the rat-specific version of hepatitis E, the first reported case happening this past September, also in Hong Kong. A human version of hepatitis E exists, and it’s primarily contracted by drinking contaminated water or eating undercooked meat. Scientists had previously assumed that the rat version, which is caused by a different virus, could not infect humans. This assumption was thrown on its head after the disease was detected in a 56-year-old Hong Kong man recovering from transplant surgery. Experts have not been able to nail down the source of the disease, but rats were deemed the likely cause. 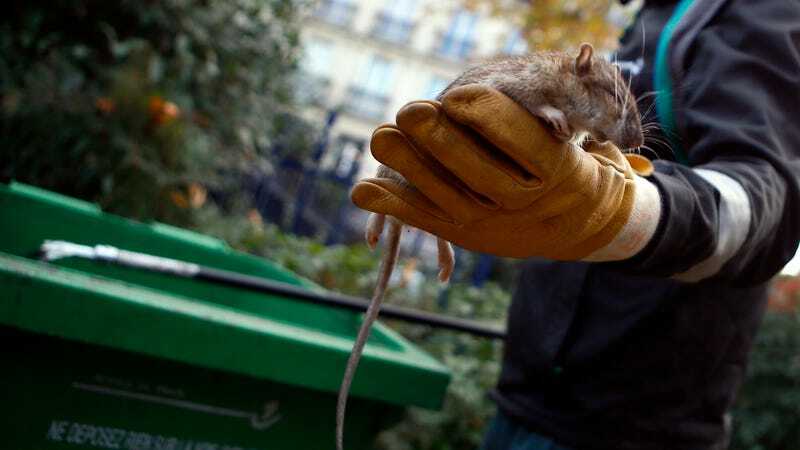 Siddharth Sridhar, clinical assistant professor from the University of Hong Kong’s department of microbiology, said the second case now proves that the rat-specific variant of Hepatitis E can be transmitted to people, and that the first case wasn’t some sort of anomaly, the SCMP reports. In terms of common denominators, both cases involved individuals living in Hong Kong’s Wong Tai Sin district. And in fact, these two patients reportedly live a mere 1.8 miles (3 kilometers) apart, but no evidence exists to connect the pair in any way. Another similarity—and this is an important one—is that both patients had compromised immune systems. In the case of the 56-year-old man, he was recovering from a liver transplant, a procedure deemed unrelated to the disease. In the case of the 70-year-old woman, she was dealing with an underlying health issue that required her to be admitted to hospital, according to the SCMP. She’s since recovered, but subsequent tests of her blood samples yielded traces of the rat hepatitis virus. Another possibly, albeit an unlikely one, is human-to-human transmission of the virus. Chinese health authorities aren’t ruling that out, reports SCMP. As the investigation continues, and as medical experts try to understand the effects of rat hepatitis E on human health, Chinese officials are asking the public to stay calm. Sridhar told the paper there’s no need for panic as this second reported case happened last year. Indeed, panic may not be warranted, but two cases of something that was supposed to be impossible in two years is cause for concern at the very least.